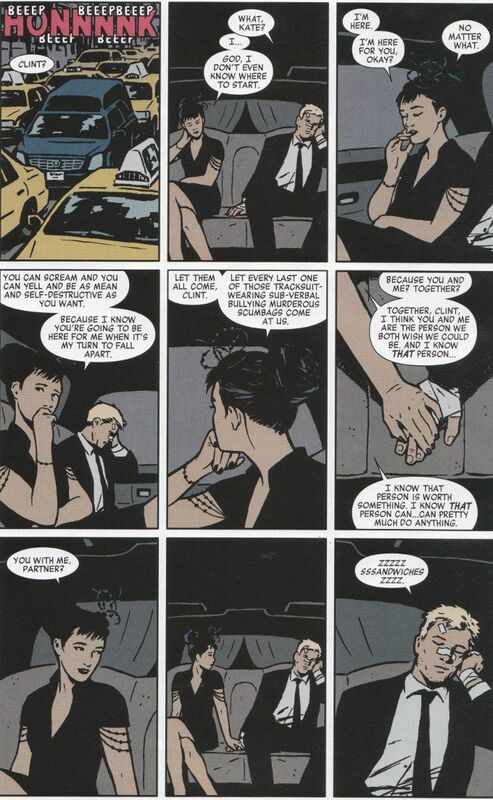 Hawkeye #13 brings decompressed storytelling to a new low. 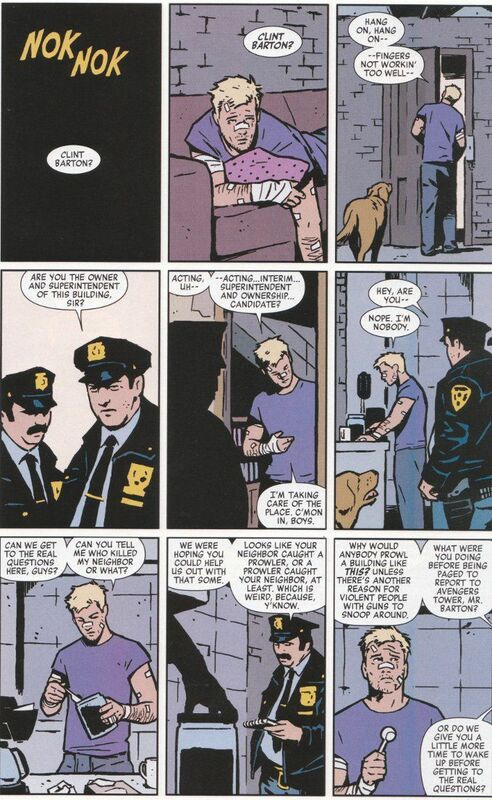 Remember everything we saw over the last few issues that only related to Clint Barton in the most indirect ways possible, including a story told from the perspective of his dog, Lucky? Now, after four issues and six months, we finally get to see the events of those issues from our main character's point of view. Thankfully, there's enough new material to make the repetitiveness tolerable. Still, it is frustrating to see a writer of Matt Fraction's talent resorting to art for art's sake in order to pad out a storyline. This series does not need such trickery. It needs more straight-forward action and humor. At least David Aja and Matt Hollingsworth are back doing that voodoo that they do so well. Aja's distinctive artwork gives this book an aesthetic all its' own. Hollingsworth's palette completes the amazing effect. Every page of this book is Eisner worthy.